This is the final goodbye of the Ceefax, BBC’s teletext service, which was posted on our screens on Sunday, the 21st of October 2012, 23:56 to declare the death of a retro medium with blocky graphics and even blockier text. Teletext consisted of pages of information, such as news and sport, which were viewed on a television set capable of viewing these pages. 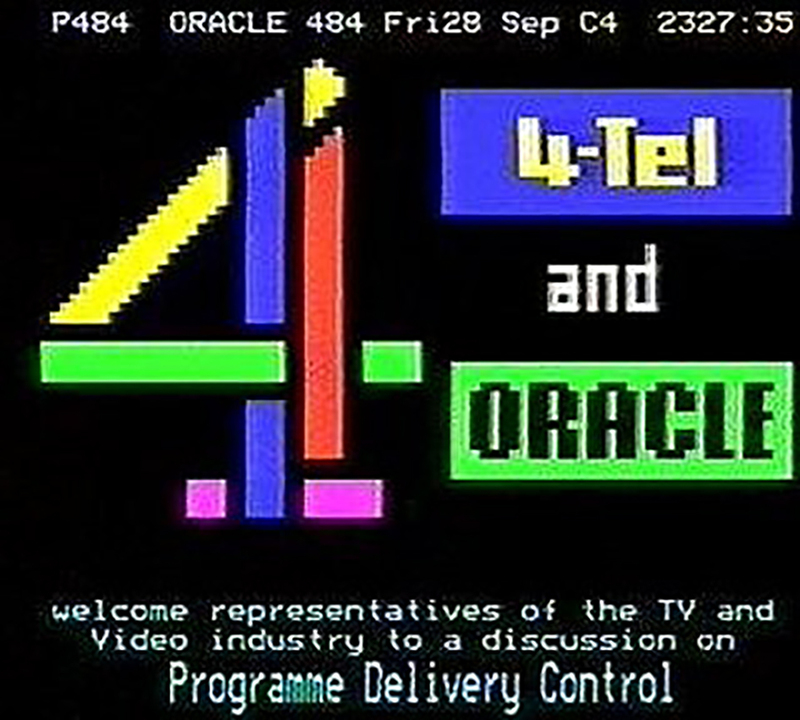 Its roots lie in the 70s, when the BBC and Oracle started the first test services. 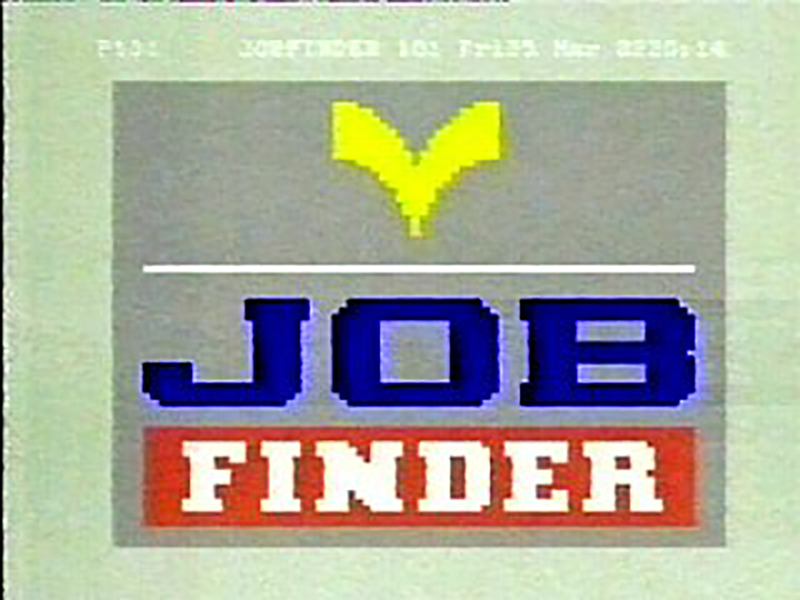 The actual teletext pages were broadcast in a hidden part of the television signal (the Vertical Blanking Interval), and decoded by the television. 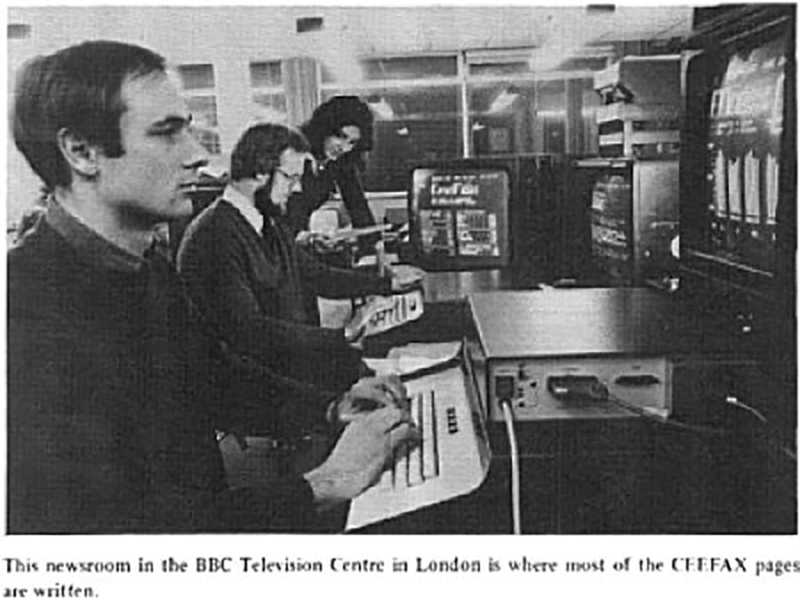 Teletext pages were accessed by a 3-figure number-fyi on most channels, the front page was on page 100. 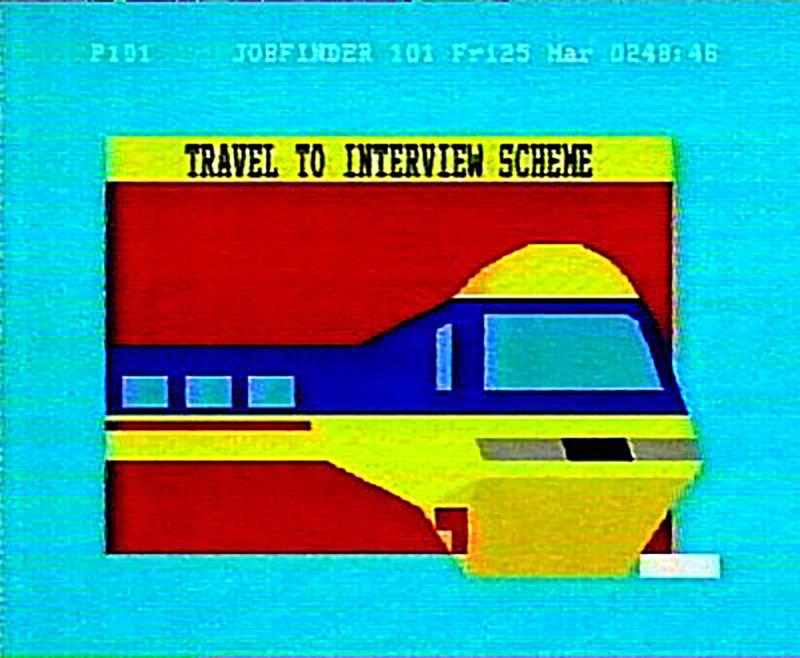 As well as news and sport, teletext contained financial information, such as the latest share prices, recipes, entertainment listings, holiday adverts, cinema, music and TV reviews, back-up information for certain TV programmes, and themed magazines, e.g. for kids. Teletext also broadcasted subtitles on certain programmes, and news flashes which were overlaid on top of the TV picture. “Teletext is an economical broadcasting format where the essential information is delivered using a technology first launched in 1970′s by BBC and has since been used daily by millions of people for over 40 years” writes The International Teletext Art Festival webpage which showcases Teletext-inspired visual art as a tribute to the medium which offered a 24-hour rolling feed at the click of a remote long before iPhones and breaking news applications 24/7-an event staged by the Helsinki based FixC art collective. “Since it was started by cooperative in 2012 the International Teletext Art Festival ITAF has been enjoyed by over 2 million people in Germany, France, Switzerland, Austria and Finland. The idea of the festival is to explore the creative aspects of Teletext by inviting artists to create art works in Teletext format and to broadcast the result to the public. Before ITAF made Teletext Art known to a wider audience there here have been several serious efforts to open up teletext for art before: for example Edwin van der Heide’s Teletext Art Project broad casted in Dutch National Television in 2000 with JODI, Joost Rekveld, Maki Ueda and Wlfr. Other ambitious project was Microtel by Lektrolab, which was created in association with the Witte de With Center for Contemporary Art during the International Rotterdam Film Festival in 2006”. “A teletext page can be perceived as a grid of 24 rows and 40 columns. To change the colors of the graphics, text and background or to add a blink effect, a control character needs to be inserted. Each time a control character is placed it uses up one space in the grid, which then appears black. And you only have 6 colors + black and white. Teletext is a basic and a very economical way of broadcasting information and though it ceased to exist in UK has survived in many countries and is used by millions of people daily” writes ITAF. 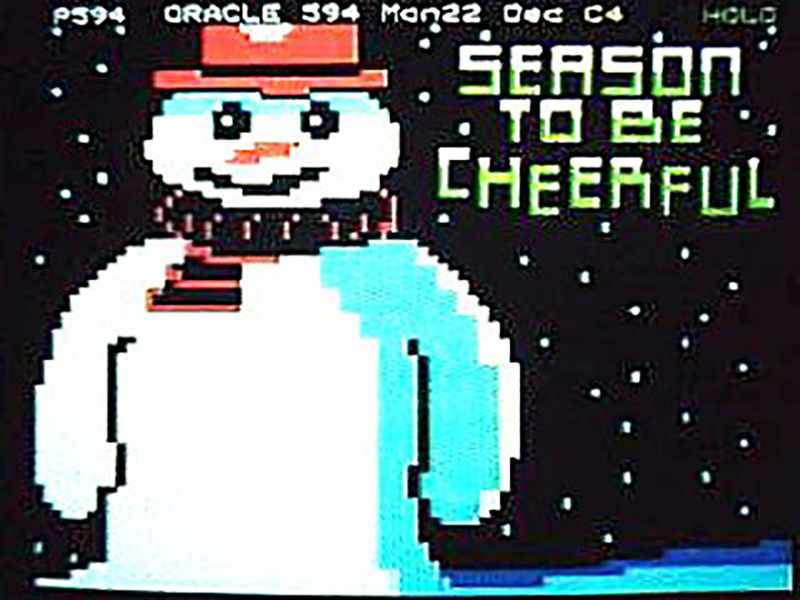 Ceefax was the last remaining analogue teletext service in the UK but in other European countries, it remains popular. A “victim to digitalization and competition from internet-based news service” Teletext brought the letters in the spotlight. “When teletext was invented in the early 1970s, it was designed as an adjunct to analog broadcast television” writes media Archaeologist, historian and ITAF’s exhibition curator Erkki Huhtamo. “The texts that could be seen on the screen normally played secondary roles for the images and sounds...This is the situation teletext came to amend. It was a source of information that eschewed talking heads and concentrated on text pages and basic graphics. It was an electronic book of sorts, a novelty long before e-books and webpages. Although it originated in England, there were parallel versions developed in other countries. There were also related media like the French Minitel, which, instead of being a feature added to broadcast television, refunctionalized the telephone, turning it into a suprisingly versatile interactive information retrieval and transmission system”.